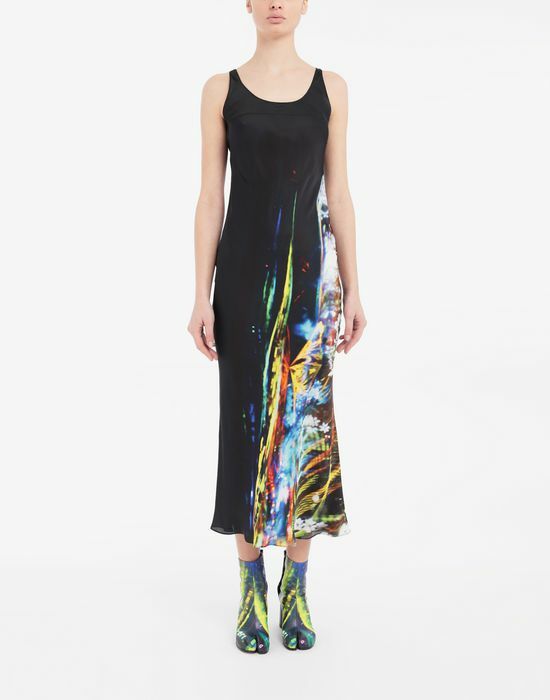 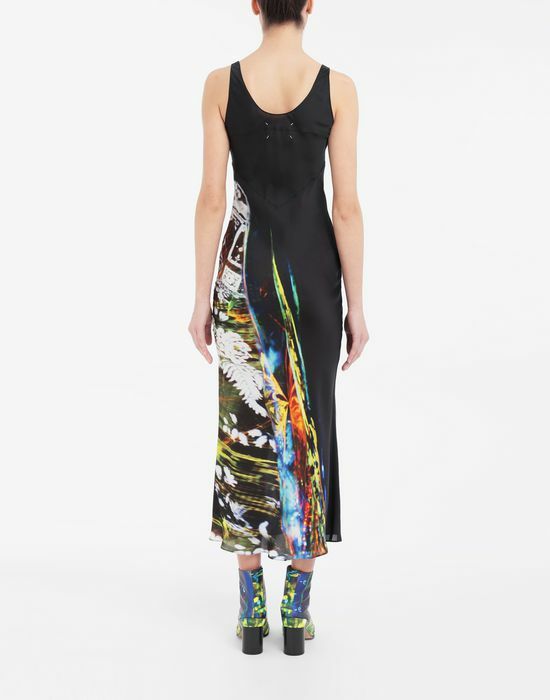 This black silk-blend evening dress is asymmetrically adorned with the Maison Margiela's Moving Metallics graphic print - featured across the Spring-Summer 2019 Collection. 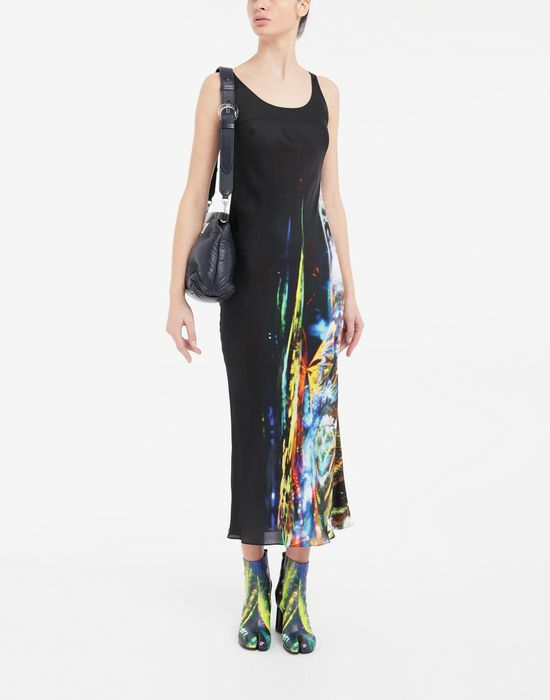 The print was achieved by the technique of projection and rephotographing to create a dynamic representation of light, urban landscape, futuristic florals and digital text within the print. 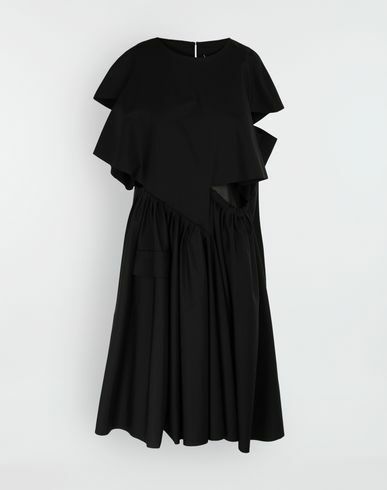 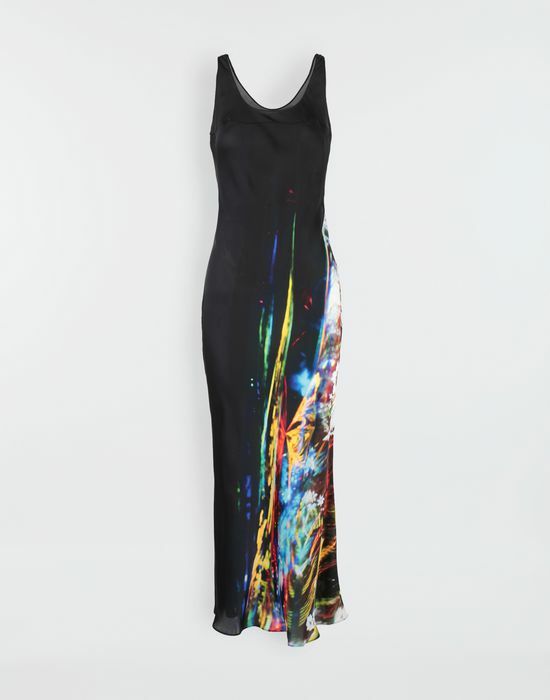 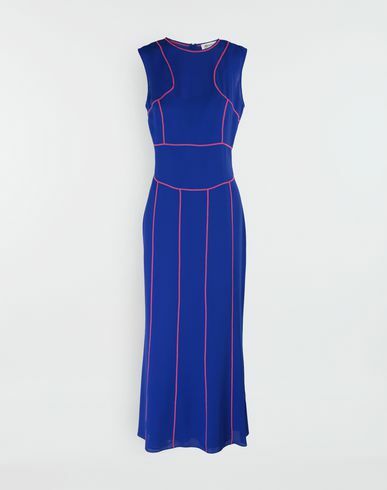 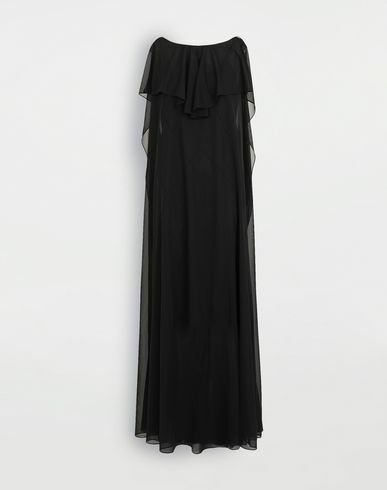 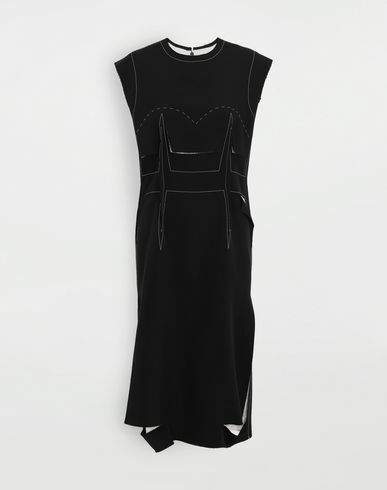 This dress features a fluted hem and an elegant scoop neckline.